Public outsourcing – a public sector body outsources network build and operation to the private sector under a long-term agreement, but the public sector body retains ownership of the network. Procured and manages network & sells services to public sector and service providers. Sustainable with £6M turnover per annum – EBITDA positive this year. Total project cost over the life of the concession (20 years): 85 million euros divided between private (55%) and public funding (45%). Private funding : Dealer’s financial investment: 30 million euros. Public funding: Financial contribution from the European Commission , which recognized the project DORSAL as Service of General Economic Interest ( SIEG ): 13.21 million euros. Financial contribution of the State : 8.47 million euros. Financial contribution from the Limousin region : 8.47 million euros. Financial contribution of three departments in the region and BACK to the tune of 8.25 million euros. The Caisse des Depots et Consignations participates in the capital of Limousin Axione up to 30%. It is an additional guarantee that the utility DORSAL be well insured. Axione Limousin remunerate directly with customers, operators, to re-invest in the 20-year contract but also and especially for the management of infrastructure at their own risk and peril. The project was announced in the Government’s 2009 budget statement with the project going live on the 29th April 2009. The project has been driven by a partnership between Yorkshire Forward, Sheffield Council, Barnsley Council, Rotherham Council and Doncaster Council and has attracted over £90m of funding from European Union, the partners and the private sector is the first of its type in the UK, and puts the South Yorkshire region right at the centre of Digital Britain. Digital Region Ltd procured a technology partnership led by Thales UK and including Alcatel-Lucent and KCOM, to design, build and operate the Superfast Broadband Network on behalf of Digital Region. Out of an initial investment of £93.8m over a 20 year period the Digital Region project is forecast to have a return in value of £208m. Digital Region will provide guaranteed download speeds of 25Mbps and above – the UK average is currently around 4Mbps – allowing users to download a music album in about 11 seconds and a full-length film in less than three minutes. Yorkshire Forward is the largest investor, contributing £44m out of total £93.8m. 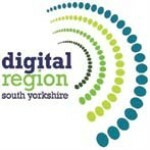 It is estimated that the whole of South Yorkshire – covering 1.3m people, 540,000 homes and 40,000 businesses – will be connected to the “Superfast Broadband” by mid 2012. Does your municipality, region or government own your access to the Internet? Is this the model they used and what have you seen as the benefits and advantages? Is there a downside or risks to consider in your opinion? In France, public authorities have used a number of models with public finance. Usually, public sector retains ownership of the networks. These cases did not concern NGA, but only classic large band networks. I do think that building NGA networks changes this rule. First of all, we should separate these networks in 2 parts : the passive equipments (optic fiber for example), and active equipments which are necessary to deliver the service. This last part may quickly evolve which is not the case for the oother part. That is why it may be necessary to change these active equipments before the passive equipments. In this case, it could be necessary to leave the ownership of active equipments to the operators, that is private sector, which will take into account the equipment evolution. But this does not mean that public sector should not participate in financing this active equipment, which is necessary in rural areas. Two community pilot projects delivered in remote rural locations, in the heart of the North Yorkshire Moors. A NYnet fibre connected site (school, library or public sector building) located close to that community. What NYnet has done is to utilise the fibre network already in place to piggyback wireless connections into the community. This entails a small upgrade to the equipment in the school, with the permission of the school of course, and then liaising with the community ISP to install their connection and antenna on the roof of the building, which they then use to beam the broadband connection into the community. Establishing the extent of local demand, and in some cases combining public sector investments across areas such as e-health, e-government and e-education provide sufficient starting investment and demonstration of user need to create significant local projects. Research from the Netherlands demonstrated that even where the demand is strong its necessary to have a committed community to engage the delivery effectively. And that villages are often more cohesive groups and better able to manage the local demand well enough to complete a project. Whereas municipal areas may lack the support on the ground to get an economic take up of broadband. Demonstrating broadband demand is not sufficient to deliver a successful project roll out. One of the questions being asked around the world regarding the Australian government’s approach to the National Broadband Network is why it decided to become the owner of the infrastructure, rather than leaving it to private industry – or cooperating with industry, through PPPs for instance. It is worthwhile in that respect to also look at the NBN in New Zealand (the ultra-fast broadband [UFB] network). This is a partnership between the government and private industry – in particular with Telecom New Zealand (TNZ), which won the bulk of the contract. The governments in both Australia and New Zealand were in a stand-off with the incumbent operators, who in both cases refused to cooperate with a plan based on an open network, a wholesale-based infrastructure concept based mainly on FttH infrastructure. While the New Zealand government was eventually able to force Telecom to change its position and, albeit reluctantly, become a partner in the project, the Australians were not ‘lucky’ enough to be able to do the same. Successive Coalition and Labor governments faced an obstructive incumbent in Australia – Telstra even went so far as to sue the minister. Those who followed the battles between 2005 and 2007 will agree that a cooperative agreement with the incumbent was highly unlikely, and it is against that backdrop that the current developments in Australia need to be judged. It is too easy now, four years later, to ask why Australia didn’t work with the industry to roll out its infrastructure. At the time that simply was not an option. Having said this, we agree that a cooperative arrangement with private industry is preferable. In our discussions with other governments in the US, Europe and the Middle East we always begin by stating that in our view industry cooperation is preferable, perhaps with the assistance with well targeted new policies, different regulations, subsidies or direct investments in those areas where broadband infrastructure is not commercially viable. For more than a decade BuddeComm has argued that for Australia that meant that around $5 billion of public money was needed to look after those economically non-viable regions. This was also the position when the current government came into power. It was only after it became clear that Telstra would not cooperate that this plan was abandoned and the current plan came into being. It is very easy to say that industry cooperation, leadership or participation is a much better solution; but the reality is that this was not an option when Australia took the decisions it made. At that time Telstra was seen as one of the most vertically-integrated telcos in the world and it therefore wielded an extraordinary degree of power, as became clear in the battle that followed. With the exception of the US, it is unlikely that any other country would face the same level of hostility from their telco, and this means that there is more likelihood of cooperation, and therefore more opportunities for private leadership, in the rollout of NBNs in those regions. Nevertheless it is most unlikely that vertically-integrated telcos will relinquish their dominant position without strong government leadership. Cost is another hotly debated issue. It is reasonably straightforward to get some headline calculations for a national FttH network. Prices quoted are between $1,500 and $3,000 per home. This makes the Australian $37 billion appear more realistic than the New Zealand $3 billion (which would be closer to $6 billion, given that the number of non-FttH homes in New Zealand is greater than in Australia). However the cost-benefit argument will continue for as long as broadband infrastructure is not being treated in the same way as other national infrastructure. We do not measure the value of electricity only by the amount of money people and businesses pay for it. The economy would collapse if we were to make infrastructure investment decisions on such a flawed approach. In the early 1900s the US government had to prevail against the argument that it was foolish to spend so much money on an expensive electricity network to replace candles. Today broadband will have to prove its value in much the same way; but with increased participation from public and private organisations in healthcare, education, smart grids, e-commerce and digital media there are strong indications that it will succeed in this. Over 40 countries have indicated that they see broadband as critical national infrastructure, and this is also endorsed by the UN, OECD, World Bank and others. Paul Budde is the managing director of BuddeComm, an independent telecommunications research and consultancy company, which includes 45 national and international researchers in 15 countries.